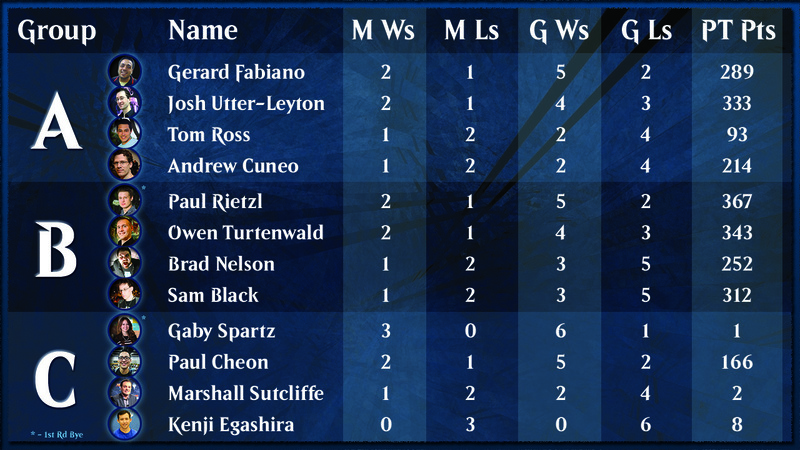 Standard Super League is a competition between Magic celebrities with matches played on Magic Online. Season 2 featured 12 competitors playing in 3 groups of 4 with the top 2 from each group advancing to a single-elimination playoff. Matches are streamed live on twitch.tv/magic every Tuesday at 6pm pacific time. Replays can be viewed on YouTube. 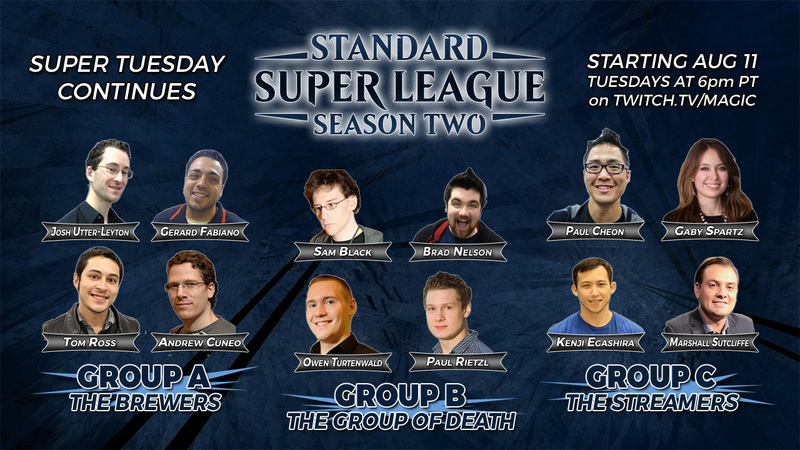 Standard Super League was created by Randy Buehler in conjunction with Josh Monks and Steven Birklid. It is hosted by Randy Bueher. If you enjoy SSL then you might want to check out our original show: Vintage Super League. For more information about Magic Online, please check out MTGO.com/SignUp. Congratulations to Owen Turternwald! 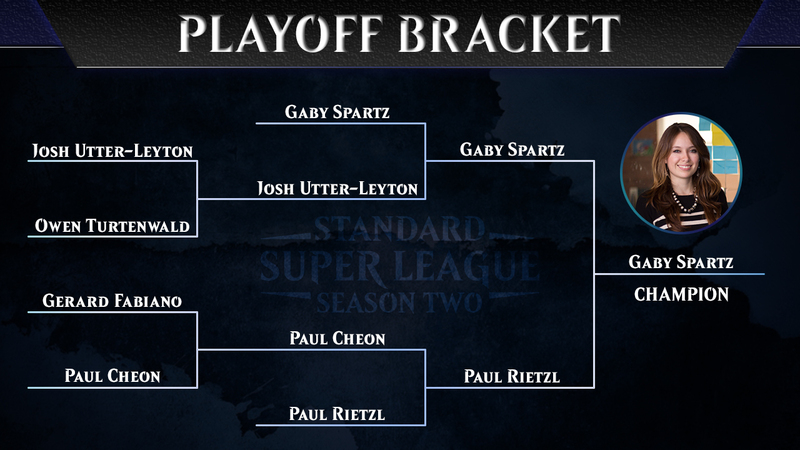 He defeated Josh Utter-Leyton in the finals to claim the Season 1 crown. 10 points per match win, 5 point bonus for winning a week. Top 3 advance to the playoffs after 8 weeks.